Call us for international shipping options. The Middle School/Jr. 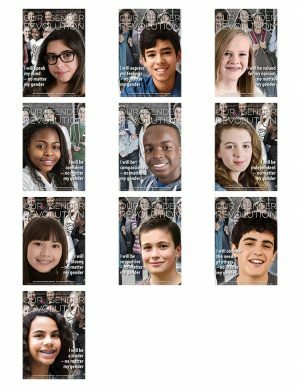 High Our Gender Revolution poster series highlights ten powerful personal statements from youth that inspire conversations around healthy gender identity. Posters are meant to be distributed throughout the year to locations young people frequent. Order materials online to be downloaded (downloadable materials will be sent to your email after order is made), print and distribute in your community today.